Summary: “Good things come in small packages.” Nowhere is this more true than in Micah’s prophecy concerning a tiny Judaean village. 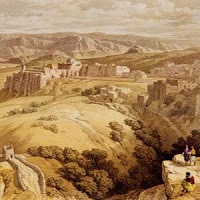 The “little town of Bethlehem,” all but forgotten since the days of King David, gained everlasting fame when the little Child of Mary was born there. This Baby started out as tiny as any other human being. 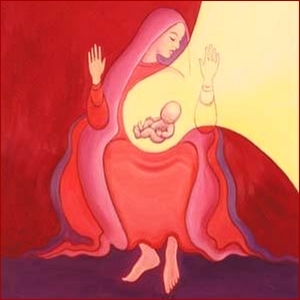 Yet even when He was one cell in His mother’s womb, He was also fully and completely God. The One who could spin worlds on His fingertips spent nine months floating about in Mary’s amniotic fluid. Thanks be to God bringing us the story of this “small town Boy makes good,” for this is the story of our salvation! Text: But you, O Bethlehem Ephrathah, who are too little to be among the clans of Judah, from you shall come forth for me one who is to be ruler in Israel, whose coming forth is from of old, from ancient days. Therefore he shall give them up until the time when she who is in labor has given birth; then the rest of his brothers shall return to the people of Israel. And he shall stand and shepherd his flock in the strength of the Lord, in the majesty of the name of the Lord his God. Audio: Click to hear the MP3 of Small Packages, preached to the saints of God at Faith Lutheran Church, Knob Noster, Missouri.